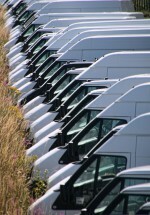 A vehicle that is used by a business that is not owned by the business is the definition of a grey fleet. 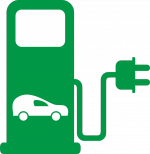 As a result, a grey fleet driver may be someone who uses a vehicle that was purchased via an employee ownership scheme, gets behind the wheel of a privately rented vehicle or simply uses a vehicle that is privately owned by the employee themselves. Van lease specialists NORTHGATE said that businesses that do use these types of vehicles will be responsible for covering any costs – this could be set up as a cash allowance. All responsibility for a grey fleet is with the employer. IMPACT HANDLING has announced orders for £1.5 million worth of new warehouse machines and counterbalance trucks for its short term hire fleet, matching a similar investment made in 2013. It will see more than 100 brand new machines from Cat Lift Trucks bolstering the fleet, and the company is not ruling out further short term hire orders this year.